The main differences between dry rot and wet rot are the degree of development of mycelium on the wood surface and the ability of the fungus to spread into other timbers via adjacent masonry. It is important that the two types of decay be distinguished since they require different treatment. Dry Rot and Wet Rot can be very destructive to timbers and wall fabric. The rot can creep up the fabric of the house from the cellar/ground floor, to the roof, if left untreated. 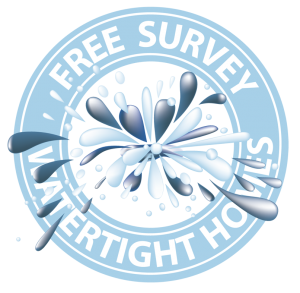 Treatment by Watertight Homes is by injection and spraying of anti-fungal preparations.